Connects and loads a MSOL PoSH Connection. Gets credential for MSOL Session, configures a new session and loads it. As you can see, the function gets the credentials for setting up the session and creates the remoting session to the Exchange Online endpoint. Lesson learned: when using custom functions to perform regular tasks, be sure to check stuff like this every once in a while to stay up to date with changes in the services. If you want to connect to all O365 services in one Powershell windows, including SharePoint, Skype for Business and the compliance center, there is a pretty decent write-up on TechNet that you can use a starting point. Sharepoint online enables you to share (sub)sites, lists, libraries or files with external user, when the tenant administrator allows this feature. 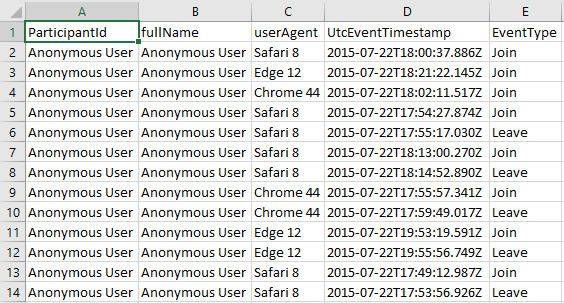 Using Powershell, you can check the users that have access to a (sub)site. To do so, you’ll need the Sharepoint Online powershell module: https://technet.microsoft.com/en-us/library/fp161362.aspx. 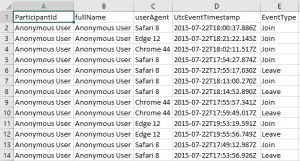 Once, connected, use the connect-sposervice cmdlet to connect to the administrative site of your tenant (https://tenant-admin.sharepoint.com). After that, you can use the get-spoExternalUser cmdlet to retrieve the external users known to the site. As you can see, you’ll see who invited the external user and the live-id / account used to accept te invitation. We’ll walk through setting up the meeting and have a look at what the meeting looks like for attendees. Once your tenant has been approved to use the preview, you can start scheduling your broadcasts on https://sched.services.skype.net. From the calender view, you can click the ‘new meeting’ button to… well, schedule a new meeting. Once the meeting has been created, just click the pencil icon to change its properties. First of all, we can change the title and scheduling information for the meeting. The next step is to add team members to the event. Team members help in producing the event, like switching video streams, managing incoming questions, etc. Just click the blue bar and add people to your team. 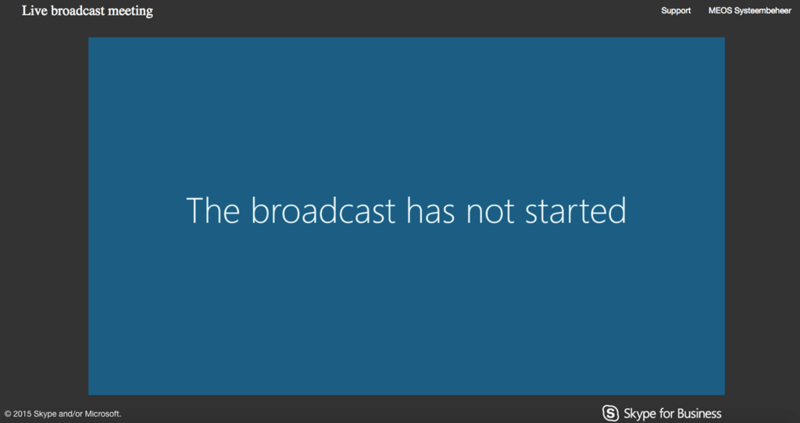 In this case, I choose to add colleague and Powershell-geek Robert to my broadcast team. After defining the team, we set who can attend our meeting. Currently there are two options: anonymous (where everyone who has the link to the meeting can join) or secure, where we define explicitly who can attend the meeting. The third option, where the meeting is open for all people from inside the organization, will come in the near future. The final step is to customize the event. We can set both a right or a left panel app, that we can use to interact with the audience. 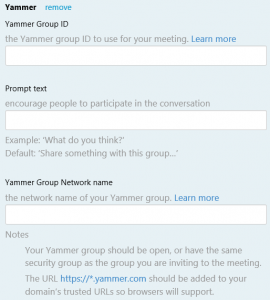 As an app to facilitate the interaction, there is a choice between Bing Pulse or a Yammer conversation. 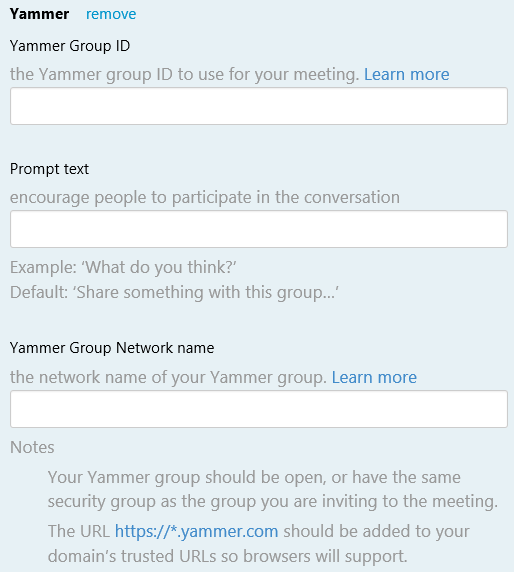 When, for example, a Yammer conversation is chosen, you supply the information for this conversation so it can be integrated into the meeting. On the same page, we can set the ‘support’ information to either the default help-link or specify a specific link to, for example, the company intranet. As the last step, we can add a custom link that will be visible to attendees. For example, we can use this to supply a link to the company website. When done, we copy the event link for the event. The scheduler doesn’t create an invite or calendar item, so we need to do this ourself. 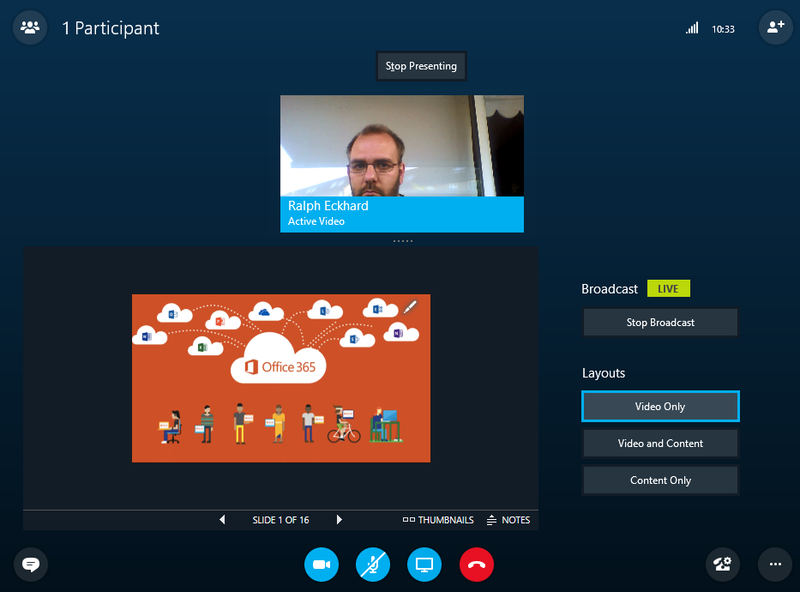 Simply create an Outlook meeting invite, select your participants and paste the meeting link into the invite. 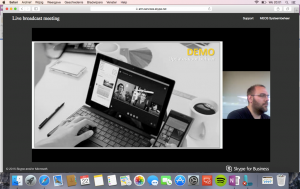 When it’s time to start the meeting, the team members simply log on by follwing the link and choosing the ‘sign in as event team member’ option. 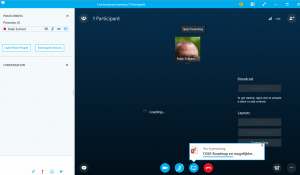 Team members will be redirected from the website to using the Skype for Business desktop client. Once started, we get the regular Skype for Business client with the normal controls. Within the IM window, we can IM with other team members that are producing the event. Those IM’s are not visible to attendees, so it’s a good way to coordinate the broadcast in the team. As the presenter, i choose to upload and present a Powerpoint file, just like I would normaly do in an online meeting. Next, i’ll start my video just like in a regular session. 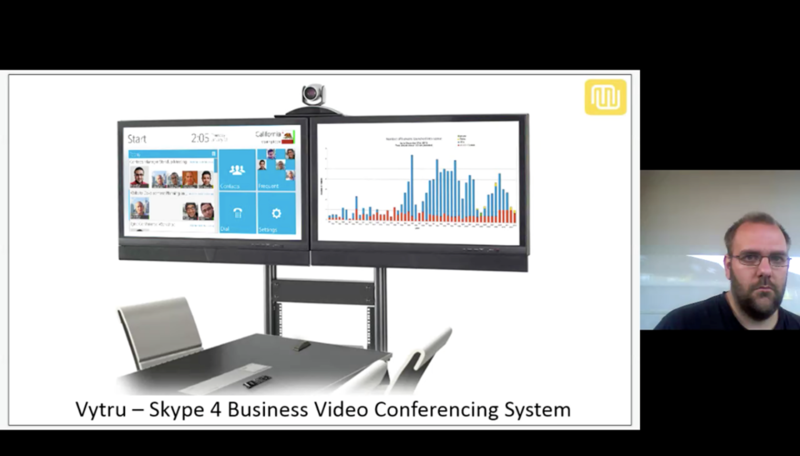 When there are multple presenters, the team members can choose the actual active video stream. This way, in a multi camera setup, one of the team members can take care of switching the actual camera’s. The last thing we do, is change the layout: only send the video stream, only send the active presentation content, or combine both. Ofcourse, this can be changed realtime during the event. Once done, we hit the start broadcast button to actualy start broadcasting. 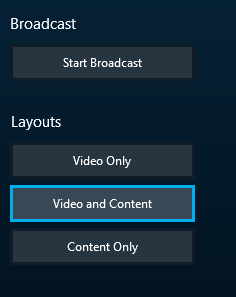 The team member in charge of switching the video streams and content can use the blue bar as a visualisation of what is actualy being broadcasted. 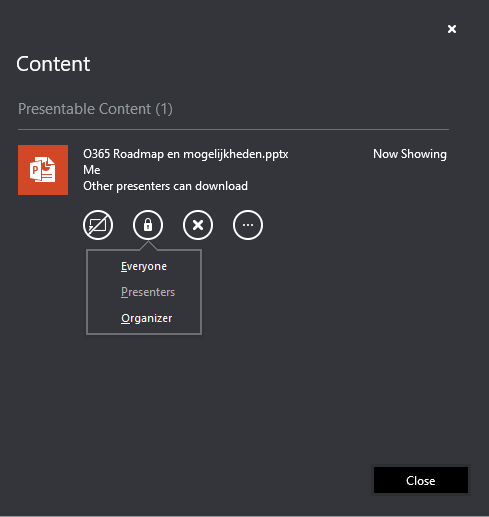 Also, the presentation content can be managed. 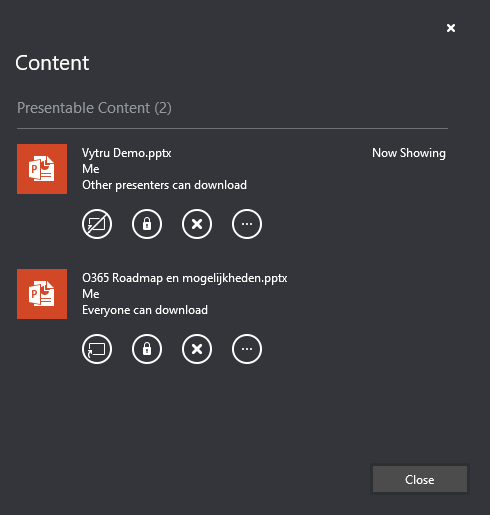 For example, we can choose if the presented PowerPoint file should be available for download and if so, who will be able to do this. 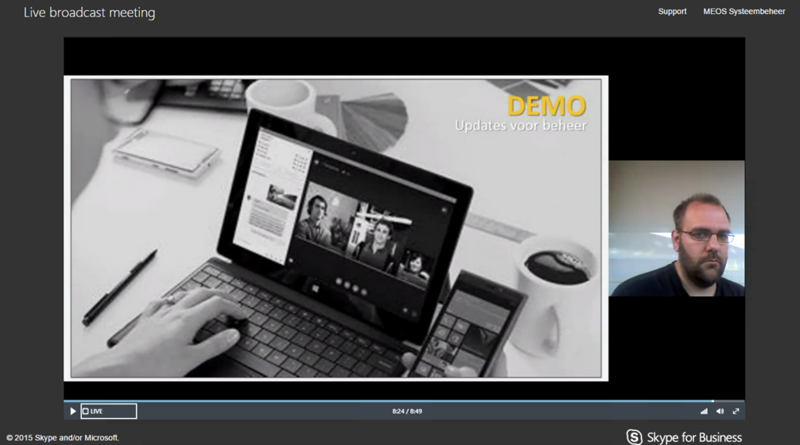 Ofcourse, multiple PPT-files can be made available within the broadcast. During the event, we can switch between these files to choose the one that is actualy being presented. For the presenter, there is the ability to show the thumbnails for the presentation or the notes. These won’t be visible for the attendees, they only see the actual presentation itself. 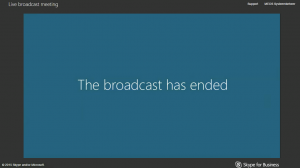 Once done broadcasting, we can click the ‘stop broadcast’ sign to stop broadcasting. 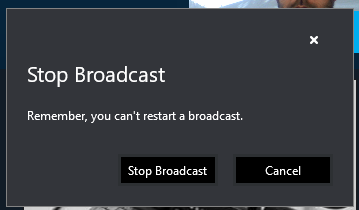 Once the broadcast is stopped, it can’t be restarted. We follow the link in our invitation and click the ‘join broadcast’ button. As we are attendees, the broadcast will be played completely from within the browser. The Skype for Business desktop client, even when installed, won’t be used. 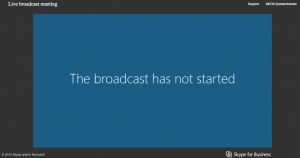 When we login, the broadcast team is still busy doing the final preparations, so we see a message telling us the broadcast hasn’t started yet. Once the meeting starts, we see the screens that the production team select from within their client. In this case, it’s a combination of the video stream and the presentation. 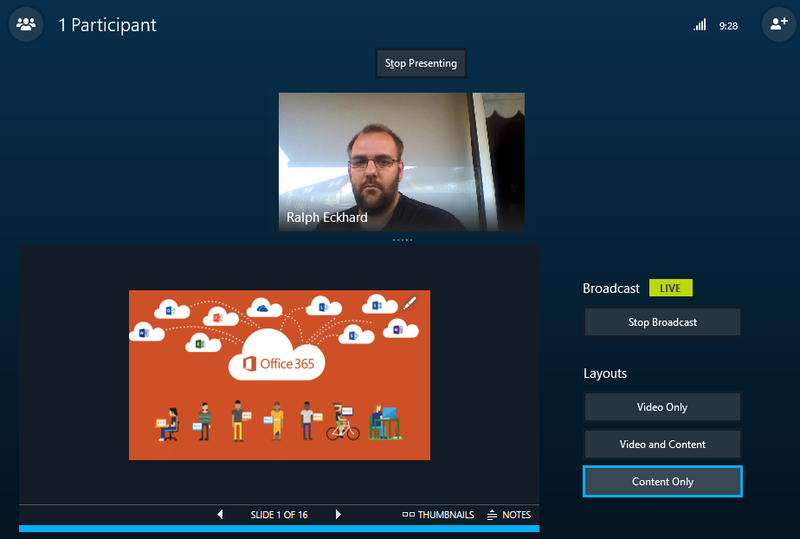 As you see, the custom link we added during the meeting setup, is displayed in the top right corner. With the time bar in the bottom, we can scroll through the meeting to actually skip back and forth. When hitting the ‘live’ button, we go back to the actual live view that’s running at that time. When the production team switches to full video or full content view, our view changes respectively. And ofcourse, when the production team switches to a new deck of slides, our view displays the new deck. As stated, the attendees watch the event straight from the browser. The above screenshots where taken using Google Chrome on Windows, but joining from a Mac using Safari works perfectly too. Finaly, we can ofcourse switch to full screen mode within the browser with just one click. 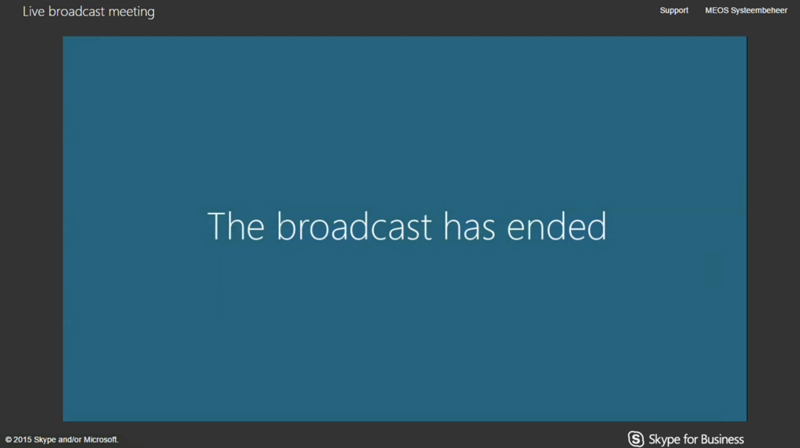 Once the meeting is over and the team stops the broadcast, a message stating that the broadcast is over is displayed. Ofcourse, we can still use the time bar to scroll back and rewatch certain parts of the broadcast if we like. Switching back to the organizer, after the meeting we can log in to https://sched.services.skype.net again to check on the meeting data. By clicking the meeting the name, we can check a few things. Note that the event link still works. You can rewatch the entire meeting when following the link. 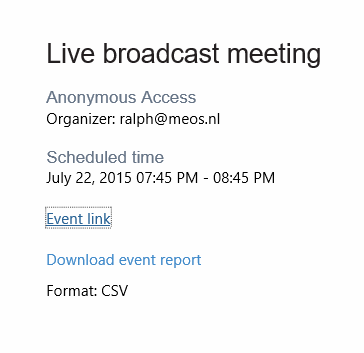 Second of all, we can download the meeting info as a CSV file. This will show all users in the meeting, with their join and leave time and the browser they used. So that’s it. 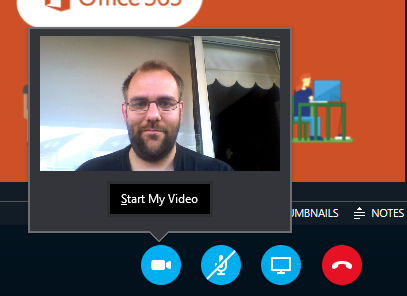 Rounding up, the Skype 4 Business team did a pretty decent job on this one, especially considering it’s just preview. It. Just. Works. Both as a presenter or team member or as an attendee, everything speaks for itself and works without any hazzle. 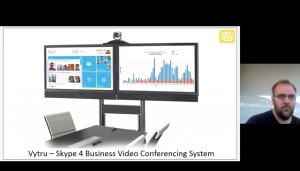 I can see this function quickly gain momentum within the online meetings, be it a webinar of some sort or a way to update your employees around the globe on the lates news from within your organization! IFTT now supports O365 Channels! For those of you that don’t know IFTT yet: get to know it now! IFTT (that’s short for If this, then that) is a cool cloud based service to connect different platforms. For example, I use it with this blog. IFTT sees when a new blog has been posted, and connects to bit.ly to create a short url for that post. 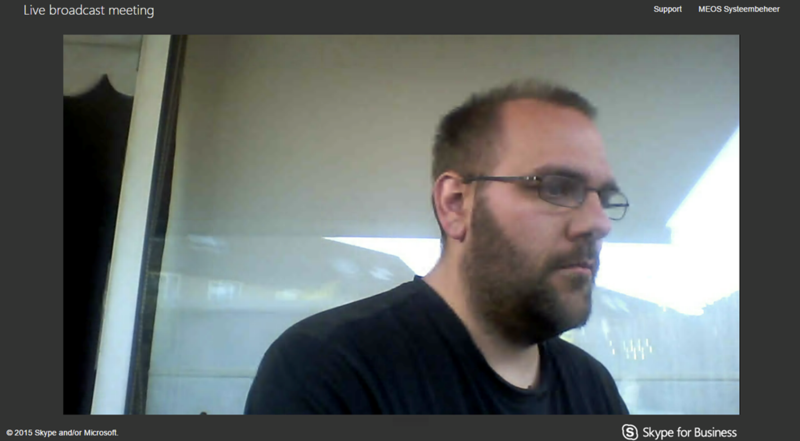 Next, it connects to Twitter to post the (shortened) link to both my personal Twitter-profile and my @365Dude account, as well as my Facebook and LinkedIn-page. 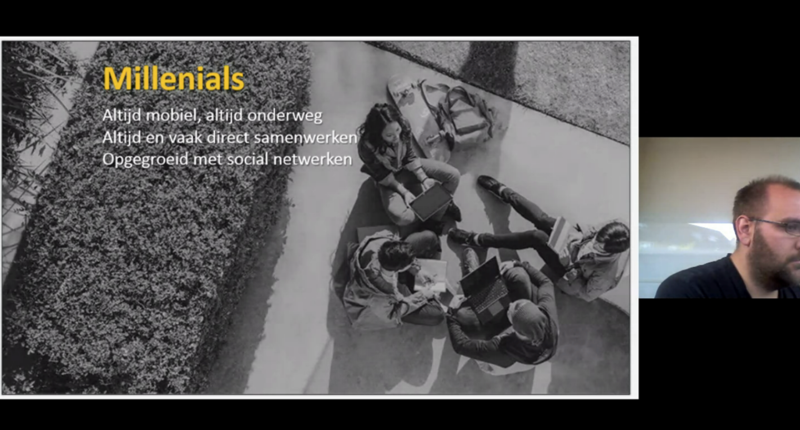 Finaly, it connects to my company’s Yammer-network to post a link to the article there. 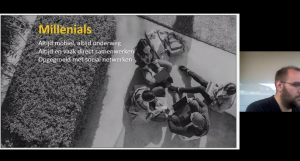 All the connections that IFTT makes, are called ‘channels’. There are channels for loads of platforms. Ofcourse there’s stuff like Facebook, Dropbox, Gmail and WordPress, but there’s also support for things like Philips Hue and the Nest Protect or Nest Thermostat. If you wish, you can change the lighting in your house when you receive an email. Or you could automatically save every photo you upload to Instagram to your Dropbox account. And the possibility of those channels just got expanded a lot: IFTT now supports several channels with your Office 365 account! The channels currently available in IFTT whith O365 are OneDrive for Business, Mail, Calendar and Contacts. In conjunction with the channels already available in IFTT, the possibilities are endless. For example, you can archive the photos you upload to Facebook in a OneDrive for Business folder. Or you can add a calendar item for tomorrow to bring an umbrella if the weather channels sees the prediction that it’s going to rain. If you add a new contact to O365, automaticaly create a reminder for the next week to follow up. And if your Fitbit-channel signals that you’ve not met your steps goal for today, a calendar item is created to hit the gym by the end of the day. Can you think of any cool recipes you could build with the O365-support in IFTT? I’d love to hear! I like to make my life as easy as possible. One of the ways is doing this, is bij using Powershell whenever I can. To quicly connect to O365 and Azure AD through PoSH, I use a simple function in my Powershell-profile. When called through open-msolconnection, the function will ask for credentials, create a new PoSH-session to O365 and starts the Exchange Online session, so you can interact with both the Office 365 backend as the Exchange Online service in one session. Ofcourse, you can expand this function as much as you’d like. For example, you could add a parameter that gets the stored credentials from disk for a given tenant, so you won’t have to manually enter those credentials when connecting. Doing this would also make it easier to use the function in other scripts, so you can automate as much as possible! 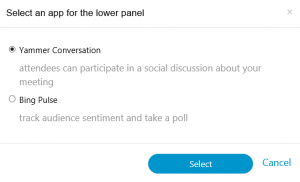 In case you missed it: it is possible to sign up for the preview of the new Skype for Business features that were recently announced. 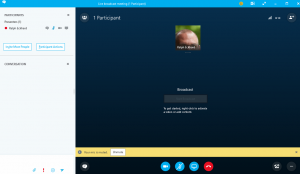 To do this, simplye go to https://www.skypepreview.com/ and sign-up. There are three feature to try out: The new Skype meeting broadcast feature, PSTN conferencing and the ‘cloud PBX with PSTN calling’ feature, that turns your Skype for Business environment into a full blown PBX. The meeting broadcast feature is available for trial globaly, the other two features are currently US only. I always like to check out who is using my environment, be it an on-prem Exchange setup or an Office 365 tenant. One of the things I find interesting, is checking in on the devices being used to connect to Exchange. Mostly because it can warn me of issues that my occur; it wouldn’t be the first time some iOS update causes trouble. The second reason I like to do this, is because I like to know what user are the first to upgrade their device, be it Apple, Android or anything else. 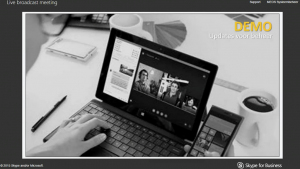 Those ‘early adopters’ might be the perfect users to help in testing out new features in Office 365. They’re usualy tech-savy and willing to cope with issues that come with working with bleading edge technology. 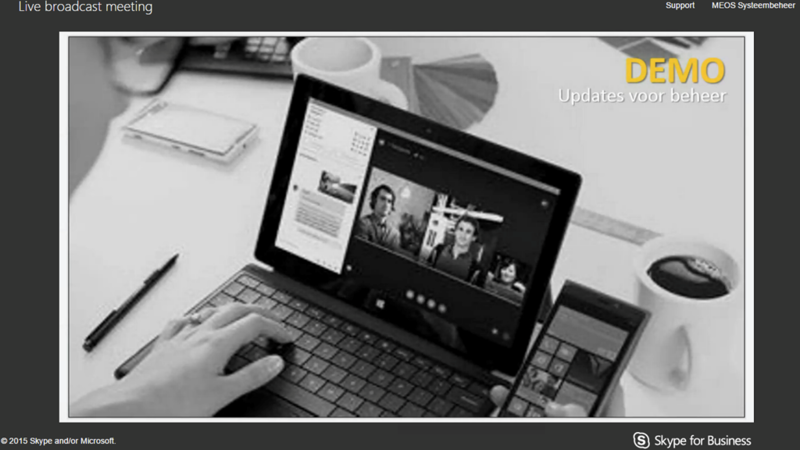 Note: get-mobiledevice will work in Exchange 2013 or O365 up from wave15. For Exchange 2010 of O365 wave14 I used the get-activesyncdevice cmdlet. If you know what users are using a particular operating system on their mobile device, you can also use this information to block certain devices. 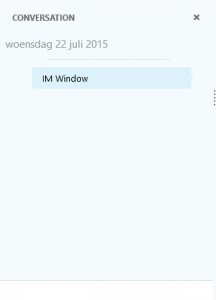 For example if the latest iOS-relase breaks something in ActiveSync, like happened in the past. With some Powershell, you can easily create an ActiveSync rule that blocks certain iOS-versions (or Android, or Windows Phone, or whatever). As you can see, more then one on every six mobile devices in our organisation is running a beta-preview of the new Windows Mobile operating system! One of the perks of having an Office 365 E3 (or higher) subscription are the licenses for using the full office suite. Untill now, there was no way for administrators to manage those licenses for their users. If, for example, a user calls in that he can’t activate his license on his new laptop, the admin would have to start a screen sharing session to help deactivate some licenses or log on using the credentials for that specific user. Fortunately, that has changed. 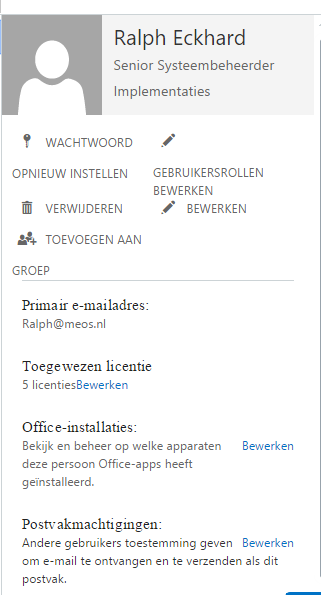 From the user settings in the O365 admin portal, it is now possible to manage the Office licenses for each specific user. Simply click the user you want to manage and in the right-pane menu click the ‘edit office installations’ link. In the menu that pops up, you can see what devices currently uses a license for the Office Suite. For privacy reasons, the device names are not fully shown. From here, you can deactivate one or more of that licenses for the user. 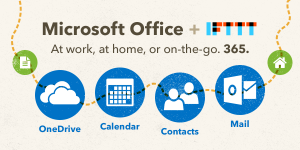 A few days ago, Microsoft released the Office 2016 suite for Mac. Next to the improved display for devices with a Retina display, one of the main features is the improved support for OneDrive, OneDrive for Business and Sharepoint. A complete list of improvements can be found on the Office for Mac website. 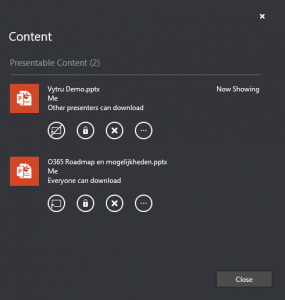 If you are a current Office 365 user with a license that includes the Office Suite and your tenant administrator allowed it, you can download the software from your personal Office 365 portal now!